Do you need that special thing to hold all your most important documents? Do you need a place to stow your cell phone, wallet and keys in the huge bag we all seem to carry? 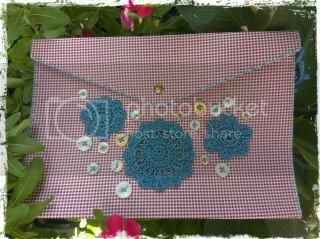 Do you have a tablet or iPad and want something one of a kind to carry it in? We showed you the first one of these ladies a few days ago because we really love her. Not much better than maroon and white, and then Miss Aggie gets a bit of turquoise and grandmother's buttons. And then you get to her girlfriend. Meet Dramatic Monochromatic. 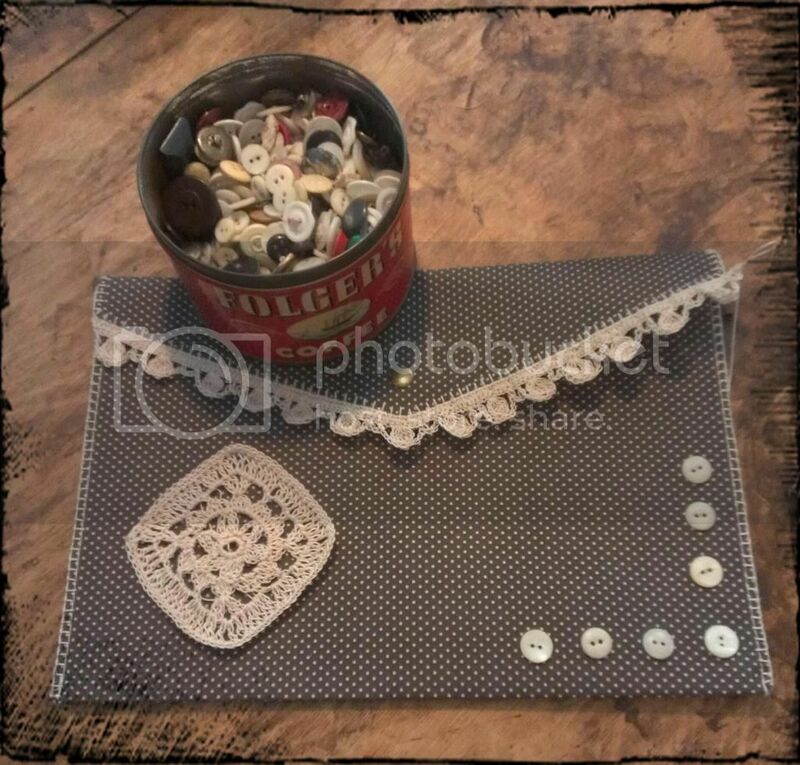 Black and white polka dot, crochet edges and medallion, and again a few of granny's buttons. There will be a new pretty lady every few days, don't forget to check back every now and then to check them out.